Going to get in a quick blog post before this weekend (I promised myself!) I am still oh-so-behind in blogging recent sessions, but that’s just because I’ve been busy shooting, which is a good thing! Seriously though, one of these days I will (I will!) get back on the blogging wagon …. 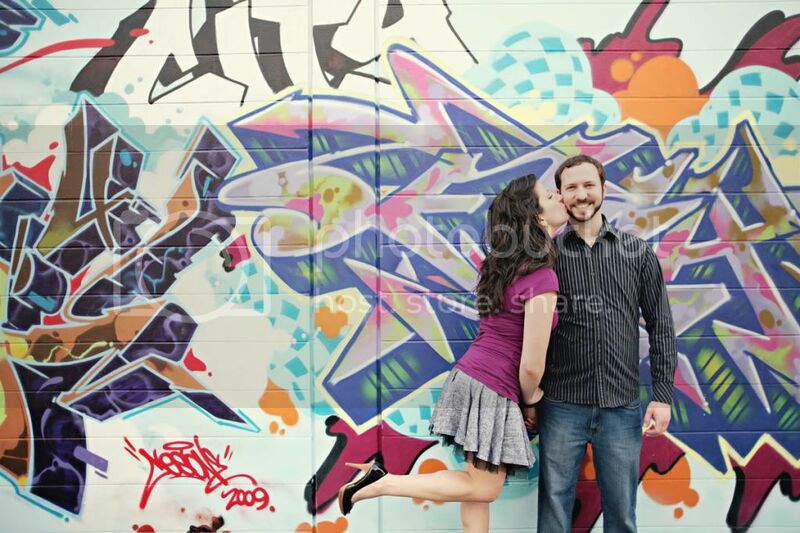 Today I share with you Marisa and Mike’s engagement session. We shot at 2 very different locations, which was so fun! We started their session at what’s now the old Sam Flax building. It is such a cool location and I really hope that whoever moves into that space doesn’t paint over those awesome graffiti walls. 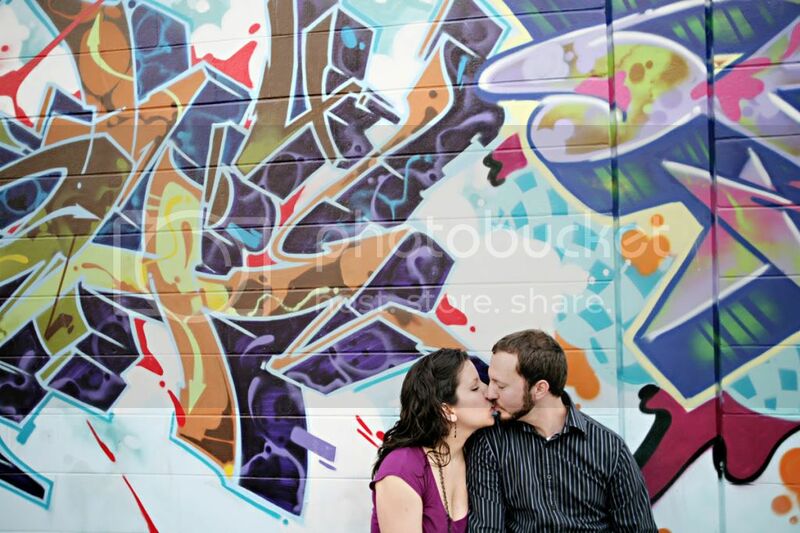 They’re so fun and colorful, and let’s be honest, there aren’t many graffiti walls that I would take my clients to 🙂 We then headed over to Kraft Gardens in Winter Park (always a favorite location of mine) for some more romantic, earthy shots before the sun went down. Marisa told me that both locations had special meaning to them, but it wasn’t until we got there that she told me their first date was actually at Kraft Gardens! 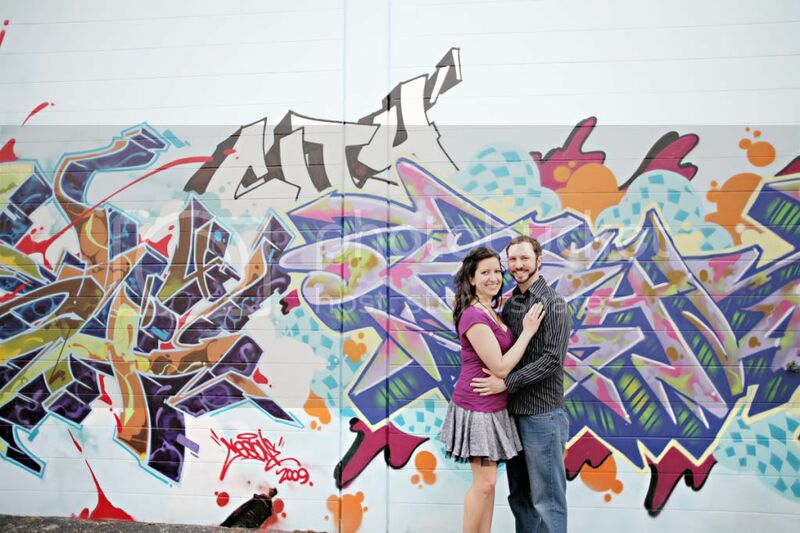 I loved working with these two — they are ideal clients in every way — sweet, creative, easy-going and fun to be around! I am so looking forward to shooting their Winter Park wedding later this month. Interesting bit of trivia – their venues are the same as the very first wedding I ever shot 🙂 It will be fun to sort of relive that experience (but with a lot more experience!) again. Enjoy these fun images of Marisa and Mike and have a very happy weekend my lovelies! Marisa - We DO love you, Sarah! Your photos are so amazing! And we had so much fun. Thank you for making us look good. 🙂 We love the DVD too! The cover and the box are gorgeous. Muito obrigada! © 2019 sarahbrayphotoblog.com|ProPhoto 5 Cambria by The Shoreline Collection | Designed with love by Seaside Creative.